Irish students at Griffith College in Dublin, Cork and Limerick can secure a fee waiver for one year if their family provides accommodation and board for an international student. 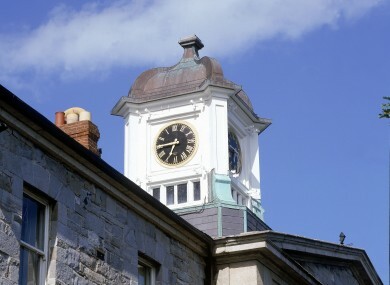 GRIFFITH COLLEGE HAS offered students the chance to offset their tuition fees for one year if their family provides accommodation and board to an international student studying at the third level institution. The initiative has been opened up to students at all three of the Griffith College campuses in Dublin, Cork and Limerick with families who offer accommodation and board to an international student able to secure a waiver for fees of around €5,000 for an Irish student attending the college. Immediate family or relatives of a student attending Griffith can act as hosts for an international student and the option can also be delayed for up to three years after the family provides accommodation for an international student. “We are conscious that these are difficult economic times for Irish families,” Griffith College president Diarmuid Hegarty said. Griffith said in a statement that the initiative has been put in place in response to market needs and recognising that families are being forced to forgo fees for third level education in order to satisfy more pressing household expenditure. It said that the programme will make third level education more accessible to undergraduate and post-graduate students and will also promote a language and culture transfer between Irish and international students. Email “College will waive fees for those who host foreign students ”. Feedback on “College will waive fees for those who host foreign students ”.